seeking to expand women’s roles in farm and food systems? The goal of Future of Women in Food Entrepreneurship 2019 is to bring together women and men in the farm and food industries and provide them with the tools, resources, and mentorship needed in growing socially responsible businesses. The Summit aims to create a positive change in our communities and revolutionize the future of food. This year has been an especially powerful year for women, and we want to invite you to partner with us in bringing voice to women entrepreneurs. The Future of Women in Food Entrepreneurship Summit provides a forum for food and agriculture entrepreneurs to network and get focused resources and specialized expertise they need to build great companies. We know that deep, resilient, local, and regional economies weave a strong fabric of social and economic systems that bind together communities, markets, and ultimately the world. 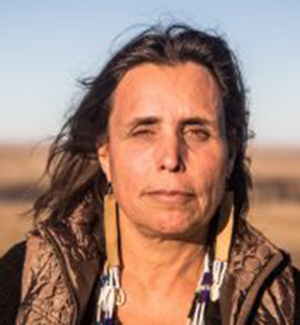 Winona LaDuke is a rural development economist and author working on issues of Indigenous Economics, Food and Energy Policy. She lives and works on the White Earth reservation in northern Minnesota, and is the Executive Director of Honor the Earth (HtE). She co-founded HtE with the Indigo Girls, as a platform to raise awareness of and money for indigenous struggles for environmental justice. She works nationally and internationally on the issues of climate change, renewable energy, and environmental justice alongside Indigenous communities. In her own community, she is the founder of the White Earth Land Recovery Project, Anishinaabe Agriculture Institute, and Akiing: 8th Fire Project. She also runs Winona’s Hemp and Heritage Farm. Globally and nationally, Winona is known as a leader in the issues of cultural-based sustainable development strategies, renewable energy, and sustainable food systems. She is one of the leaders in the work of protecting Indigenous plants and heritage foods from patenting and genetic engineering. LaDuke’s work on food systems includes; the creation of Native Harvest, protection of wild rice (manoomin), and the promotion of food sovereignty for reservation communities. On her farm in northern Minnesota, she grows traditional varieties of corn, beans, squash, Jerusalem artichokes, melons, herbs, and tobacco. This work is documented, in part, in the book ​Food is Medicine​, available from Honor the Earth. Work on the restoration of traditional corn varieties has received significant support from the USDA Sustainable Agriculture Research and Education, and a number of private foundations. In 2015 -2016, LaDuke and Honor the Earth completed a Mille Lacs Band Tribal Food Plan including policy and implementation plans for the Mille Lacs Band of Ojibwe. Charlie Merinoff is a principal founder of Breakthru Beverage Group (BBG), the innovative beverage wholesaler formed by Charmer Sunbelt Group (CSG) and Wirtz Beverage Group on January 1, 2016. He currently serves as Co-Chairman of BBG’s Board of Managers. The operations of the company and its affiliates spans 16 markets throughout North America, and the company represents a portfolio of premier wine, spirits and beer brands totaling more than $6 billion in annual sales. Previously Charlie was Chairman and Chief Executive Officer of CSG, one of the nation’s leading distributors of fine wines and spirits. 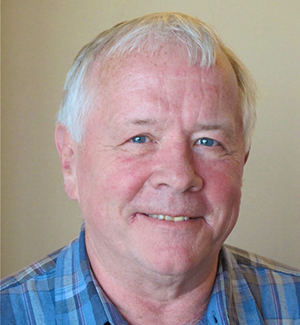 Following his graduation from the University of Wisconsin in 1980, Charlie joined the family’s business, holding various positions in operations, purchasing and sales. In 1991, Charlie was named President of Charmer Industries, the family’s Metro New York business. In 1994, the family acquired Sunbelt Beverage Corporation, then operating distributorships in several Eastern states. The Sunbelt Beverage Corporation continued to expand through acquisitions and partnerships, and in 1997 the wholesale companies in which the family had an interest became known as The Charmer Sunbelt Group. In 2011, he was named Chairman of the Board of The Charmer Sunbelt Group. Charlie devotes a significant amount of time and resources to charitable organizations. He has been a member of the Federal Law Enforcement Foundation since 1999, and is currently its Treasurer and an active member of its Board of Directors. Additionally, Charlie spent twelve years on the Board of Trustees of the Culinary Institute of America and is currently Trustee Emeritus. He presides on the Board of Directors of the Thurgood Marshall College Fund. 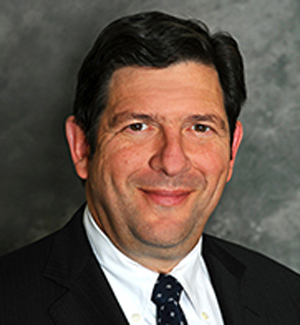 Charles has previously been on the Board of Trustees of Northwell Health - formerly North Shore-Long Island Jewish Health System and Make-A Wish Foundation Metro New York. Charlie spearheaded the annual “Wine and Wishes” tasting and auction, which raised nearly $8.0 million over 13 years for Make-A-Wish. Charlie has been honored over the years by the Boys Town of Italy, the Boy Scouts of America, the UJA-Federation of New York, the American Cancer Society and received the George Washington Spirit Award at Mt. Vernon. He is a Past Chairman of the Wine & Spirits Wholesalers of America. Donna Kilpatrick was born and raised in Western, NC and attended Warren Wilson College in Asheville, NC where she obtained a degree in Sustainable Agriculture and Literature. 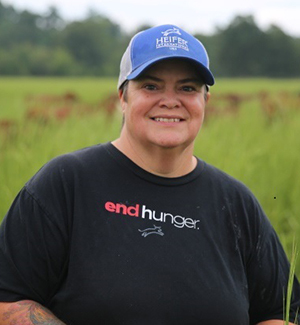 During her time at Warren Wilson, Donna worked on the college farm where she was the student crew leader for the swine operation. After graduation, she went to work for Hickory Nut Gap Farm in Fairview, NC which, at that time, was a small 150 head dairy farm. She was responsible for herd health, reproduction management and all field production. Donna served as a Peace Corps volunteer where she worked with beef cattle farmers in Ecuador, S.A. After the Peace Corps, Donna returned to Warren Wilson College to work as an Admission Counselor. During this time she also helped out on the college farm, filling in for the Farm Manager as needed. She continued her work in college admissions at two other colleges: Eugene Lang College in NYC and Hampshire College in Amherst, MA. 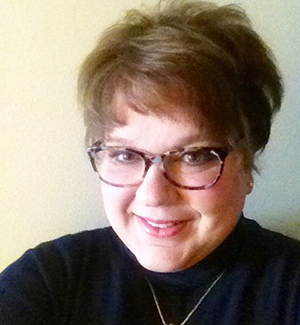 While working at Eugene Lang College, Donna obtained her MS degree in non-profit management at The New School. In 2007, She decided to return to full time farming by accepting a Livestock Management position with Heifer Farm in Rutland, MA. She was there for ten years before being asked to transfer to Heifer Ranch in Perryville, AR where she now heads all of the agriculture enterprises at the Ranch. In her free time, Donna enjoys exploring the abundant variety of outdoor activities available in “the natural state”. Donna is passionate about regenerative agriculture and has an affinity for cattle. Cathy is one of the founders of Slow Money, focusing on investment in agriculture and local; slowing money down to the speed of nature! She is also one of the founders of BALLE; focusing on creating vibrant local business communities across the country. One of the founding Managing Directors of Baldwin Investment Management, lead investor in Vermont Smoke and Cure, and participant in other mission based companies in the US. She is an active participant in The Sandy River Charitable Foundation, which focuses its grant making locally to family members and partners with other NGOs to work internationally, helping people help themselves. Her family grew up in rural New England and much of the grant making and mission related investments focuses on rural America. 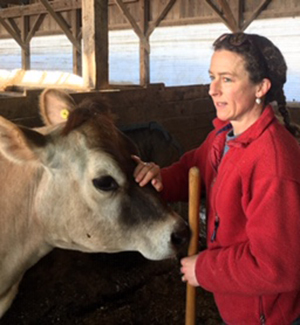 Here in Vermont, she is a volunteer consultant to the Strolling of the Heifers Organization and Co-Chair of Two Rivers. Lisa Lorimer is the co-founder of MamaSezz Foods, a whole food plant-based meal delivery company available nationwide. The company is committed to the values of Respect and Gratitude (you will see a What Are You Grateful For? sign on the side of the building). These values extend to employee ownership, livable wages with great benefits, and a stock ownership structure where all outside investors own common stock, putting all owners and employees on equal footing. 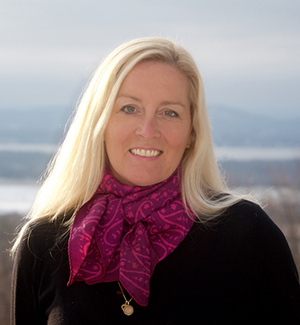 Prior to MamaSezz, Lisa spent over 20 years as the pioneer owner and CEO of the Vermont Bread Company, supplying all-natural and certified organic breads, rolls and English muffins to supermarkets and natural product stores in the Northeast, including private label for Whole Foods and Trader Joe’s. She sold a majority stake in the company to a large private equity firm and worked with them to create the first national certified organic bread company. Lisa went back to school to get her MBA and on one day in April 2014, her final paper was due at 9:00 am and at 9:01 it hit the WSJ that the business was sold to a public company. Lisa is the co-author with Margot Fraser, founder of Birkenstock USA, of the book Dealing With the Tough Stuff: Practical Wisdom for Running a Values-Driven Business. She has served on numerous boards including Vermont Community Foundation, Vermont Smoke & Cure, Chittenden Bank, The White House Project, VBSR and the Women’s Freedom Center. She has an MBA from the UVA Darden School of Business and is a graduate of the Harvard Business School Owner-President Management Program. Lisa lives with her three generations of her family in Brattleboro, VT.
Roger Allbee, Vermont’s former Secretary of Agriculture, has extensive senior management experience, a strong economics and financial background, and an ability to interact with officials at all levels of government and business. His major strengths lie in agricultural policy, finance, marketing, international trade, and strategic planning. 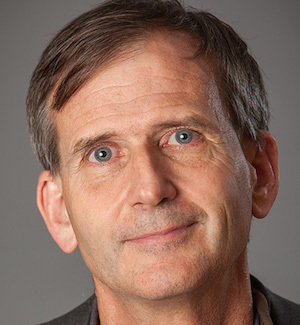 Roger’s accomplishments include being an NGO representative to the Seattle Round of WTO multinational trade negotiations, serving as an appointed member of Vermont Governor’s Food Processing Facility Task Force, and entrepreneur in establishing foreign trade company, AGTEC, and new markets for food products in new emerging markets in Central Europe, and Asia. Alli Ball is the creator of Retail Ready™, an online course for producers of packaged product in the natural foods industry. Alli helps producers understand what it takes to get their products on the retail shelf - and keep them there - by sharing the behind-the-scenes secrets and thought process of wholesale Buyers as they assess new products for their stores. Prior to launching her consulting business five years ago, Alli was essential in the development of the Bi-Rite Family of Businesses in San Francisco, sourcing product & consulting up-and-coming food businesses for years on 18th Street, and then as Head of Grocery & Store Manager at Divisadero, building and managing a team and operations to support the majority of the products in the store. 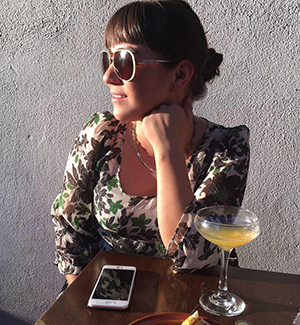 Outside of her consulting, Alli volunteers her time for The Good Food Awards, as an advisor for La Cocina and as a mentor for The Food Business School. Kaeleigh Barker has been connected to cooperative business for over a decade. Having worked in cooperative research and content development, she now directs communications for Cooperatives for a Better World, a compelling cooperative initiative. Barker first interned in 2005 at CCA Global Partners, working thereafter to conduct research for the Purchasing Cooperative & floor covering giant that would lead to multiple expansions of the business. Today CCA Global Partners consists of 13 divisional businesses under one cooperative umbrella. Subsequently her background also includes rural & urban teaching experiences in special education and competent communication. Barker’s passion for learning, communication, and storytelling has compelled her involvement with Toastmasters International, a global public speaking program, in which she was recognized in 2016 for her accomplishments. Most recently, Barker has dedicated herself to elevating awareness of the cooperative business model, working with national and global partners facing a similar lack of knowledge on the Cooperatives for a Better World initiative. She is well versed in the diversity of the cooperative sectors and recognizes the current state of cooperative awareness. 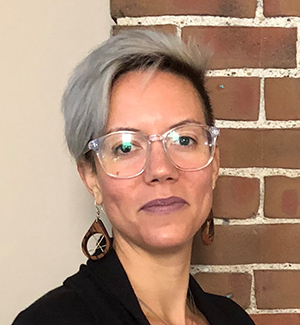 She looks to actively connect what we can do together to enhance public knowledge, appreciation, and participation in the cooperative movement. Emily Benson is the Founder and Owner of Emily Benson PhD, LLC, a career coaching business focused on supporting professional women who want to advance or change their careers and find more passion and inspiration in their lives. She is also an Associate Professor of Business Management at Keene State College. Emily has been studying careers for over 20 years, starting as a practitioner working in Human Resources and Recruiting. Her academic research focused on understanding contemporary career patterns through a feminist lens, and she has been career coaching for over 6 years. 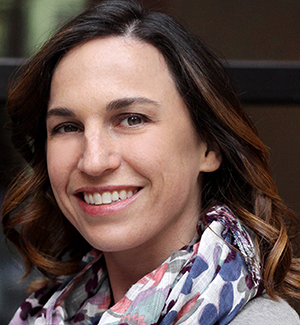 Emily won New Hampshire’s Union Leader’s 40 Under Forty award and the Monadnock Region Trendsetter’s Award for her professional and volunteer accomplishments. Emily’s coaching style differs from other career coaches in that she balances her deep knowledge of the practical skills needed for career development with an understanding of the challenges that women face in the workplace. She supports her clients so that they can move through external obstacles and their fears surrounding change and growth. Her clients are taught how to identify their personal missions and use their innate strengths to grow their careers authentically at a pace that works for them. Udi Mandel Butler grew up in Rio de Janeiro and the United Kingdom, and is now a resident of Putney, Vermont. He is Chair of the Sustainable Development program at the School of International Training where he is co-developing a new MA program in Sustainable Development and Regenerative Practices. 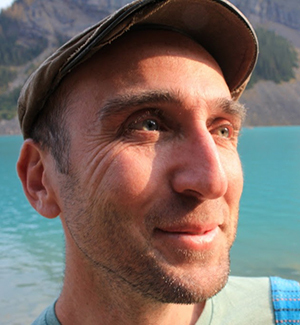 Udi’s work focuses on regenerative practices for ecologies and communities and the role and possibility of higher education to offer hopeful futures. This later work has included a critique of current higher education systems and a collaboration with alternatives that are emerging from social and ecological movements and indigenous communities across the globe offering innovative practices around sustainable development and regeneration. To this end Udi has co-founded with Kelly Teamey and others the Enlivened Learning project and the Ecoversities Alliance – an international alliance of places of learning and higher education committed to social and ecological justice and regeneration. Across these strands of work he has combined social research, historically contextualized and critically ethnographic, with more co-creative and collaborative methods of inquiry. At the same time, he has experimented with creative forms of communication, which, in addition to published articles and books, has involved such formats as documentary filmmaking, collaborative publications, and collaborative exhibitions. Udi received a PhD in Social Anthropology from Goldsmiths College (University of London), an MS in International Development from the University of Bristol, and an MFA from the University of Edinburgh and has held faculty appointments at EARTH University (Costa Rica), the University of Bristol (UK), and the University of Oxford. 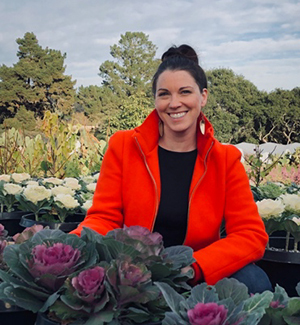 Within Hungry Harvest, Stacy Carroll created “HarvestRX,” a farm to patient food access platform that supplies preventative health programs with affordable access to fresh fruits and vegetables, delivered. To date, Hungry Harvest has recovered and delivered 9 million pounds of surplus and cosmetically imperfect produce while donating 700 thousand pounds to our hunger relief partners. 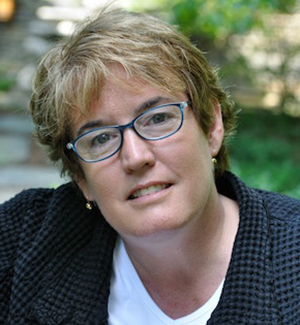 Carroll holds a masters degree from Wagner College and has spent the majority of her career consulting for the hospitality and consumer food industries. Amy has been cooking in restaurants since the age of 15. Her first cooking job, breakfast cook at The Pancake House in Manchester, inspired her to continue in this field and back up her passion with a formal education at NECI. In 1996, after several jobs in five different states, Amy opened The Perfect Wife Restaurant and Tavern. Over the years Amy steered the business from one menu to two (tavern and fine dining), catering on and off premise, and hosting a show, “Life of the Party!”, on the Northshire’s local cable access channel. And what’s a chef bio without a little name dropping? Amy has had the pleasure of appearing five times on the Food Network, including a Thanksgiving special with Sara Moulton taped here in Manchester in 2002 and two victories on “Ready, Set, Cook!” She was also chosen to represent the state and the USA in Dijon, France in July of 2009 at the Festival of Music and Food. She kept great company among a great line-up of American chefs including Bill Yosses, former White House pastry chef. It was an honor and a spectacular experience. 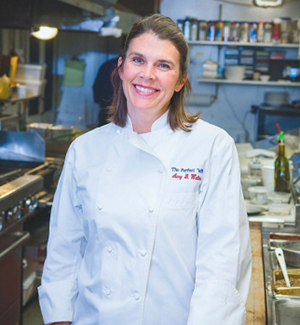 In 2010, she was named Vermont’s Chef of the Year by the Vermont Chamber of Commerce. In Amy’s 23 years of business at The Wife she employed thousands of locals from teenagers to adults. As the employee pool became shallower Amy was faced with the challenges of staffing the many arms that had become The Perfect Wife. In October 2018, Amy closed her doors and is now looking forward to creating a new business which demands far less employees and affords her more time to be a mom. Amy is the mother of a dashing 16 year old athlete, Duncan, who attends Burr and Burton and promises to study anything but culinary arts. 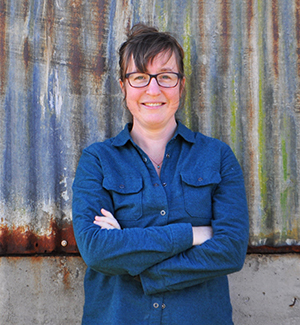 Karin oversees Clean Yield’s regenerative investments in alternative energy, green chemistry and social justice with a focus on food and the working landscape in Vermont and greater New England. 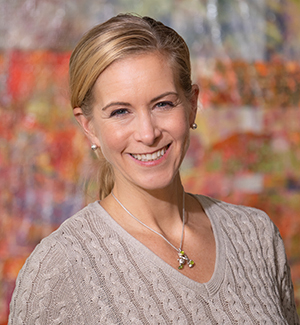 Karin started her career in sustainable investing in 1997 as a social research intern at Trillium Asset Management while pursuing her masters at Tufts University. After graduation she spent 10 years with KLD Research & Analytics, where during her tenure as Index Manager the number of sustainability indices grew from 2 to more than 30, and the assets under management licensed to those indices increased ten-fold to over $11 billion. Prior to joining Clean Yield in 2013, Karin worked as an independent consultant. Karin is a vice president of the Vermont Community Loan Fund, council member of the Vermont Women’s Fund, on the executive committee of Slow Money Vermont. She enjoys being a guest lecturer on sustainable business and investing at local business schools and a judge for impact investing and social entrepreneurship contests. From 1994-1997 Karin served as a livestock production volunteer with the U.S. Peace Corps in Ecuador. She holds a B.A. in international relations from Kenyon College and MALD in economics and environmental policy from The Fletcher School at Tufts University. Karin is trilingual in English, Spanish and German. Karin is a recovering endurance athlete who now enjoys hiking and biking in the summer, telemark skiing and Nordic speed skating in the winter and Crossfit year round. Having grown up on an organic sheep farm in Etna, New Hampshire, Karin is thrilled to be back in the Upper Valley. Before launching True North Granola, Ingrid’s professional career spanned 44 years as a middle/high school teacher and middle school principal. When she retired from education, she felt a tremendous loss. Fortunately, she had started True North Granola as a “hobby” in her home 9 years earlier and her products received immediate jury approval at the local Farmers’ Market on first try. Starting with only one flavor, Go Nuts, True North now offers a range of products that meet a variety of nutritional and lifestyle needs. Appealing to those who want gluten-free or regular granola, nut-based or no nuts, vegan and a Paleo, and grain-free granola. From the beginning, True North Granola’s stated mission has been to support public education through product and financial donations. True North Granola has now grown to a specialty food business which relies on retail and wholesale accounts, generated from revenue from Farmers’ Markets, retail shops, food Co-Ops, natural food stores, school districts, hospitals, as well as other businesses, and online sales via our website (www.truenorthgranola.com) and Amazon. 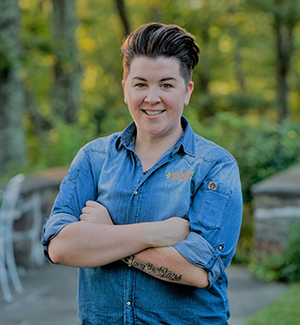 Caroline Corrente is the chef/co-owner of Haymaker Bun Company and The Arcadian restaurant in Middlebury, Vermont. After graduating from the University of Vermont, she worked in the non-profit sector for a few years, but the food industry seemed to be calling to her. In order to follow her passion for baking, she left her desk job in Burlington, Vermont to attend pastry school at Le Cordon Bleu in Paris. Before pastry school, she had worked in the food industry for almost a decade in both front and back of the house. She now owns and operates a bakery and modern Italian restaurant with her husband, Matt Corrente, where they focus on creating delicious, unique food that celebrates the bounty of Vermont’s produce. Richard French is founder and CEO of Bagel Works Inc dba/The Works Bakery Cafe, a regional chain of bakery cafes located throughout Northern New England.Bagel Works Inc. has been featured on the Today Show, Vermont Public Television Venturing Series, Inc. magazine and many other Socially Responsible books, magazines, and publications. Amanda Freund is the 3rd generation on her family farm in East Canaan, CT. The family manages 3 farm businesses; a dairy farm, a farm market & bakery and their value added product, CowPots. Among other things, Amanda is in charge of feeding the cows each morning, the farm’s presence on social media and marketing CowPots, a biodegradable pot made from their cows' manure. A graduate of Cornell University, before joining her family farm full-time in 2015, she held various positions in government and with the Connecticut Farm Bureau. Amanda served as an agriculture volunteer with the Peace Corps in Zambia from 2010-2012. Amanda currently serves as President of the Young Cooperators Committee with her dairy cooperative, Cabot Creamery. In 2016 she began speaking professionally at conferences, on panels and in classrooms about the impact of women in agriculture and sustainability. Jamila Gaskins is a social, economic, environmental and racial justice activist. She grew up in Kent, OH exploring the woods and climbing trees and running after her older brother hoping to get into a football game. In 2018 she graduated from Antioch University, Los Angeles with an MA in Urban Sustainability. While at Antioch Jamila worked in cooperative development learning firsthand the challenges faced by people in under-served communities, with English as a second language and those who are possibly undocumented who are trying to bring healthy food to their community. Throughout her program, she investigated how worker-owned cooperatives and community land trusts could be tools for improving community health and wealth. She eventually expanded to explore the relationship to the land; resilience, the ability of people to survive and adapt and to understand the ways in which past policies, beliefs, and practices impact the present. 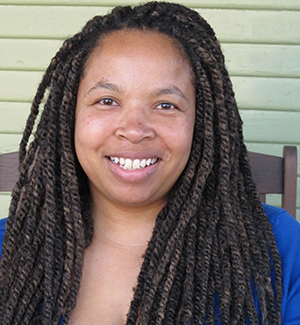 Her thesis, entitled “How Did Forced Migration and Forced Displacement Change Igbo Women's and Their African American Daughters' Environmental Identity” won the 2018 Library Research Award, best graduate paper, social science. 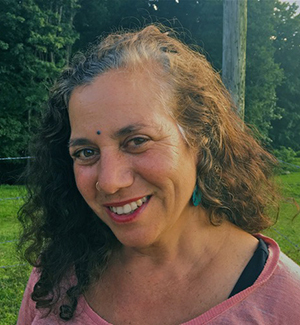 Deborah Leta Habib is co-creator of Seeds of Solidarity, a solar-powered, successful small farm and non-profit food justice organization in Orange, Massachusetts, where she lives with her family. Seeds of Solidarity “Awakens the power to Grow Food Everywhere to transform hunger to health, and create resilient lives and communities.” Since 1999, Seeds of Solidarity has innovated numerous programs and partnerships that promote food justice and sustainable agriculture practices, for toddlers to teens, families, farmers, and people who are incarcerated. Previously abandoned, the Seeds of Solidarity site is now a healing oasis of abundant gardens, greenhouses, and handcrafted, energy-efficient buildings. The farm and organization are community rooted, yet their teachings, publications, and videos have wide reach and provide practical yet visionary methods to mitigate the impacts of climate change and feed the people. Deb is a founder of the North Quabbin Garlic and Arts Festival, organized by neighbors to ignite cultural and economic power in their rural community, and that has been a launch pad for several successful small food businesses. Deb holds a Doctorate in Multicultural Education from the University of Massachusetts, and a Master of Science from Antioch University. Deb and her husband Ricky Baruch have a new book- Making Love While Farming: A Field Guide to a Life of Passion and Purpose- that will be available at the summit and with an author signing during the Friday evening events. 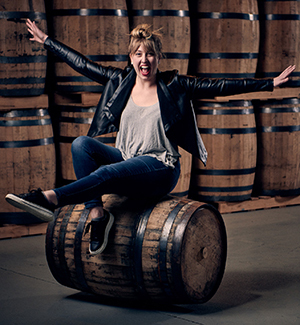 Emily Harrison works as Distillery Manager at WhistlePig Whiskey located in Shoreham, Vermont. 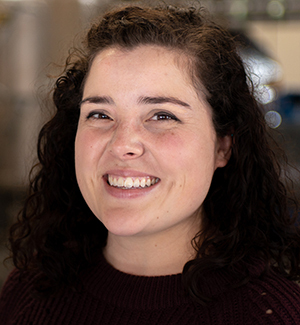 Prior to her work at WhistlePig, Emily earned her Master of Engineering from University of Louisville and went on to work at Wild Turkey located in Lawrenceburg, Kentucky. In her current role, Emily supervises production of premium whiskey from grain to barrel. 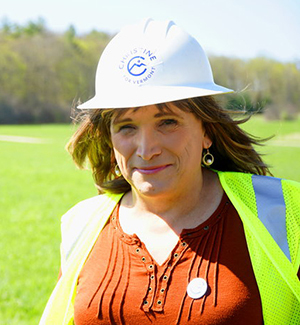 Christine Hallquist moved to Vermont in 1976, first living in Essex Junction, and then settling with her spouse Pat in 1984 in Hyde Park. 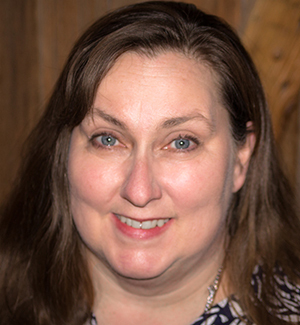 In 1998, she joined Vermont Electric Coop as an engineering and technology consultant, bringing a background in process engineering from her work with leading information technology companies and consulting for top manufacturers. In 2000, Christine became Engineering and Operations Manager, and then its Chief Executive Officer in 2005, after the Coop acquired the assets of a larger investor-owned utility. At the beginning of Christine’s tenure as CEO, the Coop was in severe financial distress, and the state was considering pulling its certificate of public good. Christine’s experience as head of VEC and her national prominence as an expert on the electric grid and climate change inspired her cinematographer son Derek to direct the biographical documentary about her entitled Denial. While in the process of filming Denial in 2015, Christine made the decision, after years of holding it inside, to come out as her true self, a transgender woman, becoming the first business leader in the country to transition while in office. For relaxation, Christine is happiest when floating on the reservoir in summer in her old tractor tire inner tube. She also enjoys playing the piano, telemark and backcountry skiing, running, fishing, and sharing stories with friends and family. One of the things people often recognize Christine for is her great sense of humor and positive energy. Working to ensure that Vermont remains the special, inclusive and progressive place that it has always been, not only for her children and grandchildren but also for future generations of Vermonters. 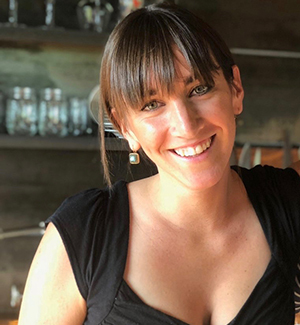 Addie Rose Holland is co-owner and co-founder of Real Pickles Co-operative, an organic food manufacturing company producing naturally fermented pickles from Northeast-grown ingredients. In 2013, after over a dozen years in business, Addie Rose and co-workers used an innovative community financing tool to convert Real Pickles to a worker-owned co-operative. The business now thrives with a vision for building a better food system, securing good local jobs, and staying rooted in the values of equity, solidarity and democracy. 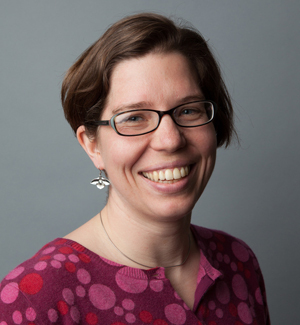 Addie Rose also serves as Deputy University Director at the Northeast Climate Adaptation Science Center, based at UMass Amherst. 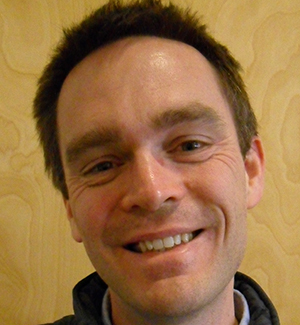 As Director of Investment & Philanthropy, Jake Ide is responsible for the Vermont Community Loan Fund’s fundraising, capitalization and communications strategies. Jake serves on the Boards of Directors for Girls Rock Vermont and the Initiative for Local Capital. He is a graduate of Brown University. 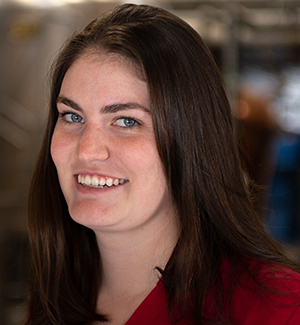 Meghan Ireland works as the Quality Assurance Supervisor at WhistlePig Whiskey located in Shoreham, Vermont. Meghan earned a degree in chemical engineering for Clarkson University graduating in 2017. She started her experience in the alcohol industry with an internship in Central New York. After graduation she worked for a cidery outside Buffalo as the quality control specialist. In her current role Meghan is overseeing the quality program within WhistlePig to ensure a high quality and consistent product that is the cornerstone of the WhistlePig brand. Marni advises clients in the food and agriculture sector on policy, advocacy, legal, and strategy matters. With nearly two decades of experience in the private, non-profit, and government sectors, Marni is an expert in strategic thinking, advocacy and analysis, particularly in the areas of organic food and agriculture policy, congressional and administrative advocacy, non-profit and small business management, and antitrust and competition law. A native of Baton Rouge, Louisiana, Marni graduated from The George Washington University with a degree with high honors in International Economics, and received her J.D. with honors from the University of Chicago Law School. She is an active member of the New York Bar. Besides her professional skills she has a passion for cooking delicious local food, and received a Culinary Arts diploma from Le Cordon Bleu in Paris, France. 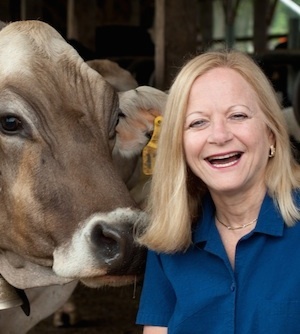 Linda Kuzior is Director of Operations at family owned and operated Redex Industries, makers of Udderly Smooth Skin Products. The dynamic of a family business allows an entrepreneur to find their own path. In addition to dealing with US retailers, Linda has been involved in expanding business in Brazil, Australia and the UK as well as creating a social media presence for Udderly Smooth. If you can’t have fun with a product originally developed for dairy cattle and a 12’ mascot the challenge was missed. Linda is an Ohio native and a graduate of Youngstown State University with a dual major of Chemical Engineering and Chemistry. Active in the community, Linda has also received the Executive Order of the Ohio Commodore. 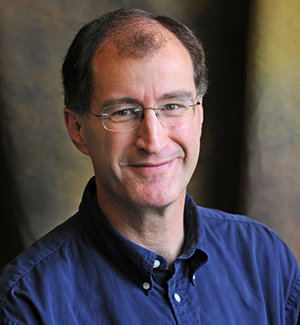 Rob Michalak is the Global Director of Social-Purpose Impact for Ben & Jerry’s. From 2006 to 2017, Rob led a process of reinvigorating Ben & Jerry’s Social Mission, following the acquisition of Ben & Jerry’s by Unilever in April of 2000. The goal of the process was to ensure that Ben & Jerry’s Social Mission thrives in balance with the Company’s Product & Economic Missions. Rob’s current focus is on identifying how Ben & Jerry’s can achieve better outcomes from the Social Mission initiatives the Company is investing in and prioritizing. Ben & Jerry’s Social Mission works to create innovative ways that the business can apply its many resources to achieve positive social, economic and environmental change in the world and make progress on the company’s sustainable corporate concept of “linked prosperity,” which is the ambition that as the company prospers, its stakeholders prosper equitably as well. 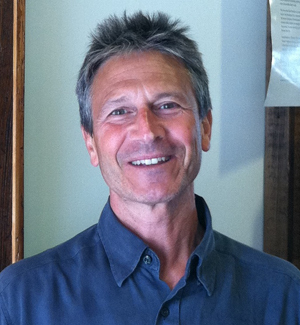 Rob served as Ben & Jerry’s PR Czar from 1989 – 1998. Rob left Ben & Jerry’s for a little bit from 1999 – 2006, to get back into broadcasting and independent productions. Prior to working at Ben & Jerry’s, Rob worked in broadcast news, public affairs and independent productions from 1980-1989. 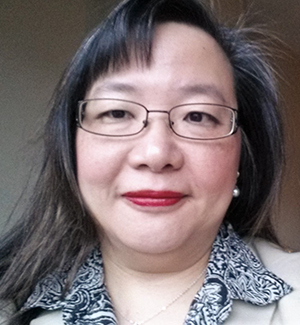 Christine Ng is a senior expert at General Mills who leads technology development in food ingredient and process systems to deliver innovative food product experiences to consumers. With over 20 years of tenure, she has successfully led and created diverse, innovative solutions that span all key food manufacturing platforms, product categories, food safety, and supply chain. Christine also leads long-term technical strategy development in new opportunity spaces. She formulates technical strategies to meet future consumer trends with demonstrated successes in converting front-end innovations from concepts to tactics to deliver new and impactful business solutions. In 2016, Gwen Pokalo joined CWE’s exciting tradition of developing & delivering high-quality programming and technical assistance to women in business. Gwen has worked in local economic development in a variety of capacities and environments. She holds an MS in Community Development & Economic Development from the University of Vermont, where she developed a microbusiness incubator to assist emerging Vermont value-added-food and artisan entrepreneurs through a retail store and academic technical assistance model. She owns a small business consulting firm offering business plan and pitch writing, finance and operation strategy support, and delivering marketing presentations. Most recently, Gwen worked as Director of the Women’s Small Business Program. While there, she further developed the 25-year-old organization to expand offerings in business planning, personal finance, and networking. She held a contract with the Vt Small Business Development providing one-on-one technical assistance to nascent and early-growth stage entrepreneurs. 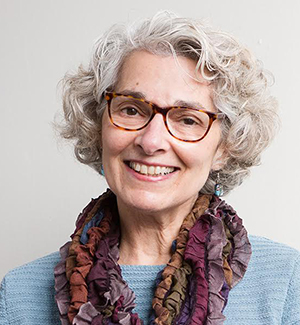 She has taught entrepreneurship and business skills at a variety of institutions, including the University of Vermont, Green Mountain College, the Community College of Vermont, and the Governor’s Institute of Vermont. Gwen has also worked in rural development research, human services, and brief stints in Honduras and Costa Rica. on the diversified family farm that includes Jersey cattle, maple syrup, and split rail fence. Amy works daily with cows and hosts the farm's Instagram account @richardsonfamfarmer. 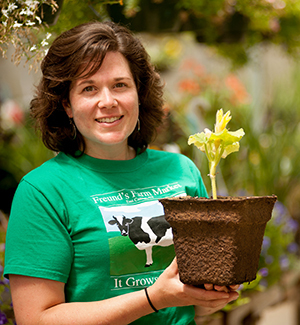 Besides farming, Amy works with several local schools to integrate sustainability, agricultural literacy, and place based education across grades and disciplines. Jaquelyn Fernandez Rieke lives in Plainfield at the Onion River Campground community where she and her family steward 23 acres of recreational and agricultural land along the Winooksi River. She founded Nutty Steph's at the tender age of 23 and slogged through it for a decade until she discovered the Worker Owned Cooperative model in 2013, which has been her dream for Nutty Steph's ever since. Martina Anderson is a nomad coming all the way from Austria that finally settled with her two children in Vermont. She has a background in Special Education and is all about Inclusivity and building community through relationships. Liz Knapp lives in Adamant with her two kids and a dog and a cat. 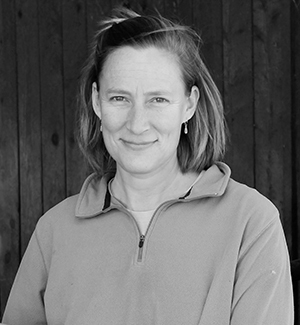 She has been intimately involved with the local food movement in Vermont in a variety of ways for over 15 years, including (but not limited to) running her own farm, advocating for policies that would strengthen family farms, and building relationships between local farmers and small businesses. Laury Saligman, founder of Vernal Ventures, a small fund focused on companies solving environmental problems primarily in the food and energy sectors. 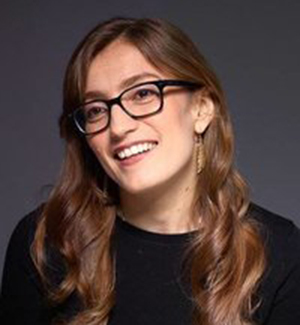 She is an active member of Next Wave Impact, a learn-by-doing fund comprised of 99 women, investing in high impact, women-led startups; as well as Clean Energy Venture Group and Branch Venture Group in Boston. Laury is a co-founder of the Vermont Women’s Investor Network (WIN), aimed at closing the gender gap in early-stage finance. 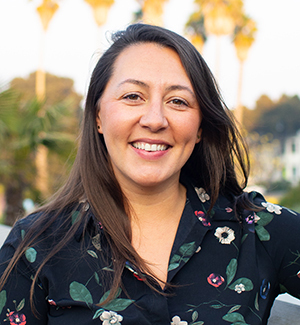 Laury has worked at the US Environmental Protection Agency, Air Products and Chemicals, Inc., Conservation International, a renewable energy company, and a web-based startup focused on indoor environmental quality, which she created and sold. 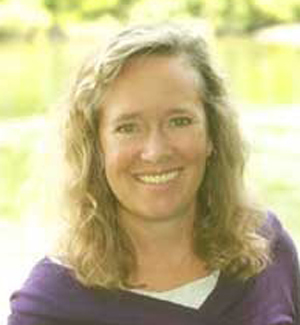 In 2006, she and her husband started Conservation Collaboratives to invest in forestland and develop new models for conservation finance, including payments for ecosystem services. 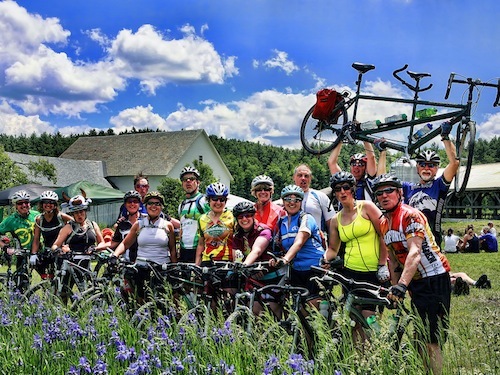 The company owns and manages over 1,000 acres of forestland in northeastern Vermont, which is home to the popular Victory Hill Trails mountain bike area. 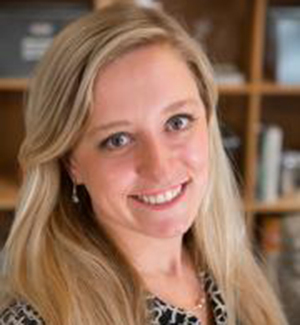 As Manager of Science Programs for The Organic Center, Dr. Amber Sciligo works closely with researchers, industry, farmers, and policymakers to identify organic research needs, facilitate project implementation and communicate scientific results across the organic sector. She leads The Center’s reports that compile current science on critical issues affecting organic food and farming, and heads The Center’s grant-writing program. Dr. Sciligo received her Ph.D. at Lincoln University, New Zealand, in Ecology and Evolution with a specialty in plant/insect interactions. Her extensive postdoctoral work at UC Berkeley included several interdisciplinary projects that focused on population structure and health of honeybees and bumblebees in California. It also included participatory research in land access for Latino farmers in the CA Central Coast, native bee pollination services to strawberry crops, and the costs/benefits to diversified farming within the organic sector using an integrated environmental, social and economic framework. The main goals of her work have been to understand how farming practices that promote biodiversity and important ecosystem services can be more broadly adopted, and to inform research and policies to better include the needs of farmers so that their businesses can thrive, while preserving land for future farming. 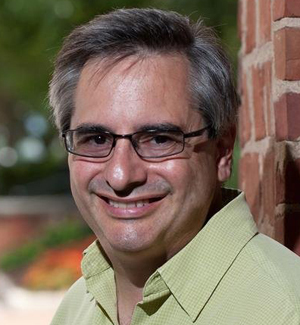 Dr. Sciligo most recently conducted sustainability consulting in Ag and Food Production & Research. Hannah Sessions, along with her husband, Greg Bernhardt, established Blue Ledge Farm goat dairy in 2000. The couple began on-farm cheese production in 2002. Located in the southern Champlain Valley of central Vermont, Blue Ledge Farm composes 150 acres and churns out approx 50,000 lbs of artisan cheese annually. Half of the milk processed is goat's milk from their own farm, and half is Ayrshire cow's milk purchased from a neighboring family farm. Currently Hannah manages their herd of 150 dairy goats and handles the sales, marketing and distribution of their cheese across the northeast and dipping into the west coast. When she's not in the barn or the cheese cave, Hannah can be found painting in her art studio, cheering on her two teenage children in their myriad of activities, or serving on various boards that do good work throughout Vermont. Louisa is an entrepreneur who thrives on the ability to find creative solutions to any problem. 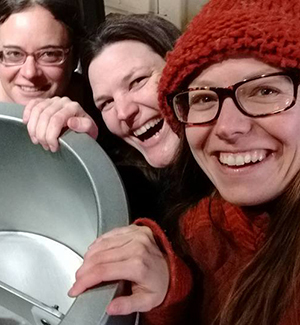 After developing several websites tailored to local living, Louisa drew on that experience and her passion for technology and all things local to co-found Milk Money VT, Vermont’s first “invest local” equity crowd-investing platform. She brings her energy and enthusiasm to her many passions whether it's volunteering, technology, photography, Vermont or a variety of sports. Kate Stephenson is the Program Manager of the Vermont Farm Fund, a revolving loan fund providing low interest loans to farmers. She is also a partner in HELM Construction Solutions, which works with owners, designers and builders to create high performance and sustainable buildings and businesses. She is an experienced leader in the fields of green building, professional education, local food, sustainability, and business management. She’s worked with established and emerging businesses and non-profits to achieve triple bottom line metrics, develop business systems, and plan for a dynamic and resilient future. She has deep experience in post-secondary education, and led the Yestermorrow Design/Build School for over thirteen years. Kate helped to develop and is a facilitator for NESEA’s BuildingEnergy Bottom Lines peer network of builders and architects. 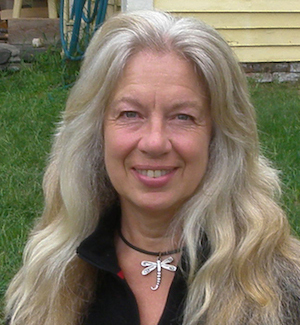 Kate is the Chair of the Montpelier Energy Advisory Committee, and serves on the Board of the Urban Death Project and the Advisory Board of One Square World. She is a QuickBooks Certified ProAdvisor. She holds a MS in Management from Antioch University New England and a BA in Anthropology and Environmental Science from Haverford College. Sas Stewart is the Co-Founder and President of Stonecutter Spirits, an award-winning craft spirits producer that proudly combines heritage barrel aging techniques to age gin and whiskey in Middlebury, Vermont. She was recently named one of the top 50 entrepreneurs to watch in the US, and is adept at brand and business strategy with a specialization in activations, partnerships and engagement. After a decade in fine dining world, Sas cut her business teeth in urban agriculture and food systems before moving to the bucolic Vermont countryside. Passionate about design, good food, and bringing back the cocktail hour, Sas creates spirits and cocktails to be enjoyed by people who care about the quality of their tipples and sustainability of their origin. Sas’ cocktails and projects have been written up in Martha Stewart Living, Food and Wine, Outside Magazine, Sift, Bloomberg, Imbibe and other publications. Sas holds a B.A in English from the University of Michigan and a M.S. in Sustainable Planning and Development from Pratt Institute. Anson Tebbetts was appointed Vermont’s Secretary of Agriculture, Food, and Markets by Governor Phil Scott in January of 2017. Prior to his appointment, Tebbetts spent more than twenty years as part of the WCAX news team, serving as the station’s news director since 2009. From 2007-2009, he stepped away from his role at WCAX to serve as Deputy Secretary of the Agency of Agriculture, under the Douglas administration. An avid bird enthusiast, he co-hosts “For the Birds” on WDEV & WLVB radio. Tebbetts, a graduate of Emerson College, is a native Vermonter with deep agricultural roots. He was born and raised on his family’s farm in Cabot, where he continues to reside today with his wife Vicky and their two children. In 2001, the Vermont Farm Bureau honored him with their Friend of the Farmer award. Prior to practicing law, Heather worked for over a decade as an HR professional, including roles as an HR Director and as an HR consultant for small businesses, start-up organizations, and food co-ops of all sizes. In these roles, Heather handled a range of HR functions, such as drafting job descriptions, writing policies and employment manuals, administering discipline and employee dismissals, managing and executing hiring strategy, developing compensation models, composing benefit packages, and training for all organizational levels. As an attorney, Heather now leverages her HR background to provide a unique and thorough perspective on legal issues in the area of labor and employment law. This includes providing guidance and counseling to HR and management personnel on day-to-day challenges and defending employers against lawsuits and charges from administrative agencies (such as the EEOC, Vermont Attorney General’s Office, or the Massachusetts Commission Against Discrimination). 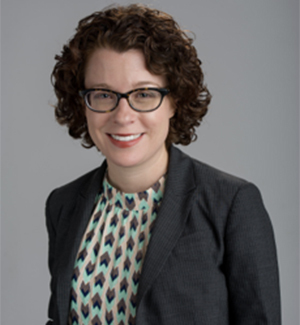 Additionally, Heather provides legal training and guidance for employers in labor relations matters, including representing employers in proceedings before the National Labor Relations Board and during union campaigns. 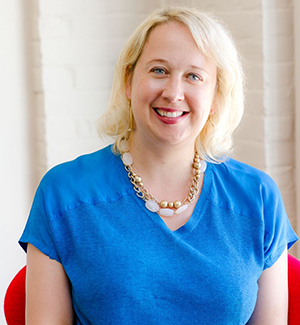 When not in the office, Heather teaches strategic human resource management in the MBA in Sustainability graduate program at Marlboro College and lectures on various HR and legal topics at conferences across the country. Originally from California, Heather now lives in Bennington with her fiance and their dogs Molly & Luna. When left to her own devices, Heather enjoys knitting, clog dancing, and getting above treeline on hikes through the Vermont mountains. Orly is the founder and executive director of Strolling of the Heifers. Previously, she served as a learning specialist with the Windham Central Supervisory Union for 24 years. She has a BA in Psychology and Education from Boston University, and Master of Education degree in Psychology and Special Education from Keene State College. She also built a profitable private consulting business, training teachers in cutting-edge educational techniques. Drawing on this background, she gathered a group of volunteers in 2001 to help focus attention on the difficulties of small family farms in the Brattleboro region. Building an organization with no startup funding, under Orly’s leadership they organized the first annual Strolling of the Heifers in 2002. Orly attracted corporate sponsorships ranging from national brands to local businesses, and with the growth in the local foods movement since then, “the Stroll” has expanded to a full weekend which is annually rated one of Vermont’s Top Ten Summer Events (and was rated one of America’s Top 10 Summer Festivals in 2013, and one of North America’s Top 100 Events in 2014). 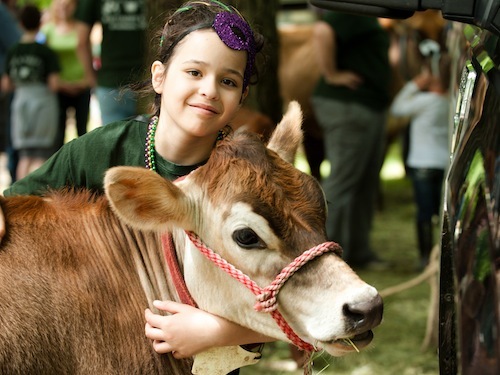 Over the years, Strolling of the Heifers also launched educational programs, a microloan fund, and farm internship program for youth, which are now all carried on by other organizations; the farm/food business planning competition; the Locavore Index; Farm to Table Apprenticeship Program; Windham Grows; and now the Farm/Food Innovation Center at the River Garden. 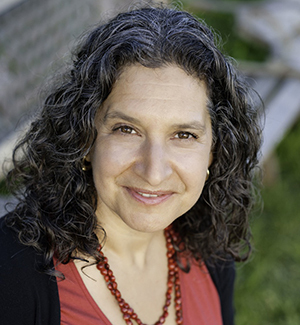 Orly was named the Brattleboro Area Chamber of Commerce Person of the Year in 2010, and in 2013 she received the Vermont Community Leadership Award from the Vermont Council on Rural Development. 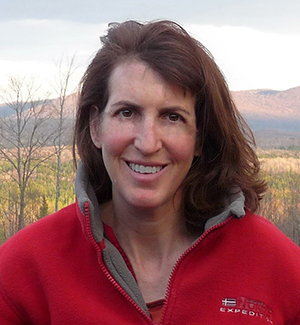 She received the Vermont Land Trust's Rick W. Carbin Community Conservation Award in 2018. Under Orly’s leadership, in 2006 Strolling of the Heifers received the Harvest Wave of the Future Award from Glynwood. Erin O’Connor is thrilled to join Strolling of the Heifers as its new Executive Director. She spent over 20 years in both secondary and higher education, holding a variety of positions in both in America and Japan. At Simmons University, she worked with the Boston Redevelopment Authority, the Boston Mayor’s Office, the U.S. Department of State, multiple colleges and hotels, event venues, charities, and corporations on behalf of the University. She has planned and successfully executed several large-scale events at various institutions: orientation, advising, Family Weekend, and commencement among them. 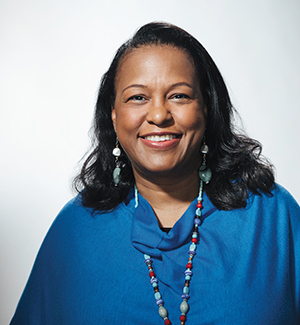 During her time as the Dean of Students for a preparatory school in Washington, D.C., she designed and fundraised a residential curriculum, partnering with community members, businesses, and parents to provide the best education and opportunities available for the students in her care. Each morning for the past several years, Erin has passed a small farm on her way to work. Having lived in cities and been raised in the suburbs, farms and farming were relatively new to her though she has been a regular at her local farmers’ markets and spent weekends visiting the local farms across the region. She had never considered either the origin of our food or the dignity and beauty of each animal. An open invitation from a local farmer changed her life. She was able to experience, first-hand, how farms and our food contribute to each season, how farmers mark the time through the growth and harvesting of our food: how every facet of our nation depends on the American farmer. Born in Chicago, IL, and raised in Houston, TX, Erin has roots in New England. Her family is from Central, MA (Barre and Hardwick). Her maternal grandmother was born and raised in Kirby, Vermont. Erin holds degrees from Smith College and The University of Virginia. 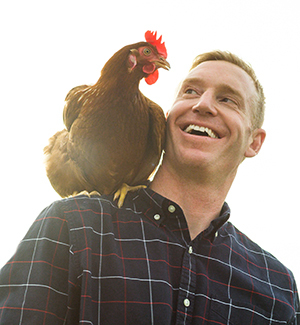 Jim is the Director and Entrepreneur in Residence of Windham Grows, a business accelerator that was created by the Strolling of the Heifers and is designed to nurture the next generation of innovative food and agriculture entrepreneurs. Prior to running Windham Grows Jim co-founded three socially responsible businesses focused on energy and waste management automation systems, and workforce development. Jim was a co-founder of Ruralogic, a "re-shoring" firm created to counter the trend in outsourcing US jobs to third world countries, He helped bring 2,900 high-tech jobs to rural Louisiana and Pennsylvania that would have otherwise gone overseas. Cairn Cross is a co-founder of FreshTracks Capital in Shelburne, Vermont, and serves as a managing director of the Fund. He serves on the boards of FreshTracks portfolio companies Vermont Teddy Bear, NativeEnergy, Faraday, Budnitz Bicylces and Mamava. 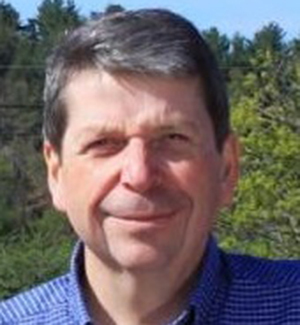 Prior to starting FreshTracks Cairn was a strategic and financial adviser to Vermont banks and growth businesses, the assistant general manager of Green Mountain Capital, L.P. from 1996 to 1998, and spent a decade working as a commercial banker. In 2014 he created Road Pitch — a four-day motorcycle tour around Vermont bringing investors and entrepreneurs to seven towns to listen to entrepreneurs pitch their ideas. He is a former member of the Vermont Board of Public Accountancy and was formerly a director and vice chairman of Opportunities Credit Union and formerly a director of the Vermont Community Loan Fund. In 2011, the United States Small Business Administration named Cairn its Vermont, New England and National Financial Services Champion. He earned a B.S. (1981) from Montana State University and an MBA (1987) from New Hampshire College (now Southern New Hampshire University). He received a graduate certificate from the Stonier Graduate School of Banking in 1995. Cairn serves as a Windham Grows Entrepreneur-in-Residence. Slow Living Summit Coordinator, Jennifer Brandt, brings years of marketing experience for a variety of clients ranging from Sony to small non-profits. Jennifer’s extensive marketing experience gives her access to a vast professional network of marketing and creative heavy-hitters that can be assembled for projects with even the most daunting marketing and creative challenges. Her passion for sustainable food systems makes her work with Strolling of the Heifers more like a dream than a job. While not working on organizing spectacular events or creating new marketing materials for clients, you can find her exploring new food around the world whether it be via food stall, beach shack and even the occasional high-end meal. Join the mailing list and stay up to date on speaker announcements, early-bird registration rates and more. The Summit takes place in the non-traditional conference surroundings of Main Street, Brattleboro — a small community in southern Vermont, long renowned for its commitment to healthy, local, sustainable living and technology, for its vibrant communities of visual and performance artists, craftspeople, poets and writers, and for the diversity of its shops, restaurants and galleries. In turn Brattleboro is a gateway to the Green Mountains and Vermont. and sustaining family farms and local food systems by connecting people with healthy local food. We do this through a variety of year-round programs. 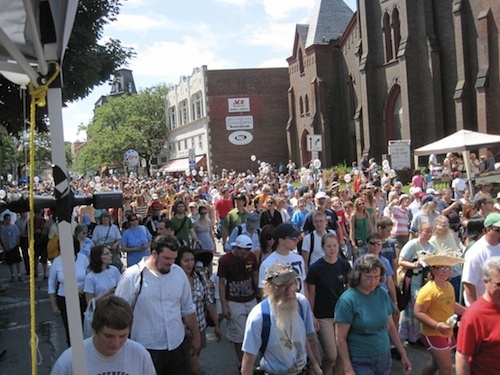 Best known is our annual Strolling of the Heifers Parade and Slow Living Expo, which takes place during “Stroll Weekend” immediately after the Summit. We also organize a Vermont Farm/Food Business Planning Competition, and we publish the annual Locavore Index ranking the 50 states in terms of their commitment to local food, and other projects and events. Strolling of the Heifers, the organizer of the Summit, is a non-profit organization based in Brattleboro, with the mission of connecting people with healthy local food, encouraging and facilitating innovation and entrepreneurship in the farm/food sector, and supporting the development of stronger local food systems and healthy, sharing, connected and resilient communities. We do this through a variety of year-round programs. Best known is our annual Strolling of the Heifers Parade and Slow Living Expo, which takes place during “Stroll Weekend” immediately after the Summit. We also publish the annual Locavore Index ranking the 50 states in terms of their commitment to local food, and other projects and events. In a major new initiative to further our mission, in November 2013 we acquired a prominently-located downtown Brattleboro building, the Robert H. Gibson River Garden (where Summit lunches and receptions take place), which has 4500 square foot of open space used since 2001 for public events, performances, lectures and exhibits. Under our stewardship of this community resource, we plan to maintain the public uses of the building, but also to create exhibits and programming that are related to our own focus areas of local food, food systems, and healthy sustainable living — a Farm/Food Education Center.